Since the birth of the World Wide Web, educators have been exchanging ideas and sharing resources online. They are all aware of the turmoil in higher education created by freely available content, including some hopeful developments charted in this issue. Interest has grown steadily over the past decade in making a university-level education openly available to students around the globe who would otherwise be overlooked, and recommendations for how to do this are well documented (e.g., UNESCO, 2002; OECD, 2007). Initiatives in the United States (Thille, 2012), Canada (Stacey, 2011b), Africa (OER Africa, n.d.), and the United Kingdom (JISC, 2012) are easily accessed and case studies abound (e.g., Barrett, Grover, Janowski, van Lavieren, Ojo, & Schmidt, 2009). Supporting the widespread availability of OER is a goal that Athabasca University (AU) has embraced through association with the Commonwealth of Learning and by becoming a charter member of the OER University (OERu, 2011). The use of OER in AU programs has strategic local implications that go beyond the five reasons for institutions to engage in OER projects described by Hyln (2006). Recently at AU explorations have begun into the potential of using OER in course design and production. Ives, C. & Pringle, M. (2013). Moving to open educational resources at Athabasca University: A case study. 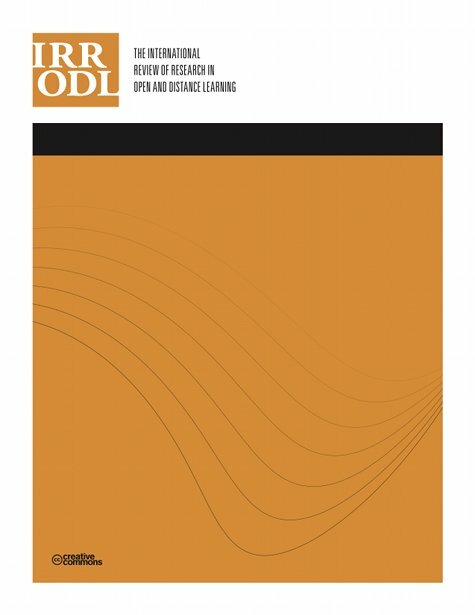 The International Review of Research in Open and Distributed Learning, 14 (2), 1-13. Athabasca University Press. Retrieved April 23, 2019 from https://www.learntechlib.org/p/111855/. Caswell, T., Henson, S., Jensen, M., & Wiley, D. (2008). Open educational resources: Enabling universal education. The International Review of Research in Open and Distance Learning, 9(1), 1–11. Clark, R.C., & Mayer, R.E. (2011). E-learning and the science of instruction: Proven guidelines for consumers and designers of multimedia learning (3rd ed.). John Wiley& Sons. Clark, R.E. (1999). The CaNE model of work motivation: A two-stage process of goal commitment and mental effort. In J. Lowyck (Ed. ), Trends incorporate training. Leuven, Belgium: U of Leuven Press. Downes, S. (2007). Models for sustainable open educational resources. Interdisciplinary Journal of Knowledge and Learning Objects, 3, 29–44. Hamada, M. (2008). An integrated virtual environment for active and collaborative elearning in theory of computation. IEEE Transactions on Learning Technologies, 1(2), 117–130. Ives, C., Graham, R., & Manuel, C. (2011, October). Online learning enhancements at Athabasca University. Poster presented at Open Education 2011. Park City UT. Jonassen, D.H., & Land, S.M. (Eds.) (2000). Theoretical foundations of learning environments. Lawrence Erlbaum Associates. Keller, J., & Suzuki, K. (2004). Learner motivation and e-learning design: A multinationally validated process. Journal of Educational Media, 29(3), 229– 239. Kluger, A., & DeNisi, A. (1998). Feedback interventions. Toward the understanding of a double-edged sword. Current Directions in Psychological Science, 7(3), 67–72. Richards, G., Marshall, S., Elias, T., Quirk, D., Ives, C., & Siemens, G. (2010). Developing university courses with OERs. In Proceedings of World Conference on Educational Multimedia, Hypermedia and Telecommunications 2010 (pp. 1069-1073). Chesapeake, VA: AACE. Sandoval, W.A., & Bell, P.L. (2004). Design-based research methods for studying learning in context: Introduction. Educational Psychologist, 39(4), 199–201. Scriven, M. (1996). Types of evaluation and types of evaluator. Evaluation Practice, 17((2), 151–161. Thille, C. (2012). Changing the production function in higher education. Washington DC: American Council on Education. Retrieved from acenet.edu/go/MPR2/#312767. Treviranus, J., & Coombs, N. (2000). Bridging the digital divide in higher education. In Educause 2000: Thinking IT Through. Proceedings and Post-Conference Materials. Nashville, TN. Weinstein, C.E, Husman, J., & Dierking, D.R. (2000). Self-regulation interventions with a focus on learning strategies. In Boekaerts, Pintrich, & Zeidner (Eds. ), Handbook of self-regulation (pp. 727–747). San Diego, CA: Academic Press. Winne, P.H. (1995). Inherent details in self-regulated learning. Educational Psychologist, 30(4), 173-187. Zimmerman, B.J. (2008). Investigating self-regulation and motivation: Historical background, methodological developments, and future prospects. American Educational Research Journal 2008, 45, 166-183. Social media field trips: using disruptive technologies without disrupting the system.